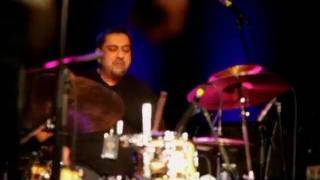 Drummer, Film score composer, Music Director, Music Arranger and Singer, Ranjit Barot is a longtime associate of A. R. Rahman and he's now touring with John McLaughlin's 4th Dimension, who describes him as "one of the leading edges in drumming". 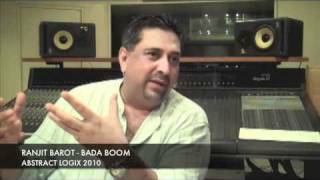 In November 2011, Ranjit has released his highly acclaimed worldwide debut album, 'Bada Boom', featuring some of the greatest musicians on the scene today. This album is a collection of Ranjit’s Jazz Fusion and World compositions with performances by Ustad Zakir Hussain, John McLaughlin, U. Srinivas, U. Rajesh, Scott Kinsey, Matt Garrison, Wayne Krantz, Dominique DiPiazza, Harmeet Manseta, Taufique Qureshi, Sanjay Divecha, Tim Garland, Gwilym Symcock, Ayden Esen and Elie Afif, to name a few. Ranjit's first big performance was at Jazz Yatra ’80, with the Jazz Yatra Sextet. He also performed at the Yatra with the great Pandit Ravi Shankar’s ensemble, Jazzmine, featuring John Handy, George Adams and Mike Richmond of the Mingus Dynasty. Ranjit's collaborations abroad have seen performances with renowned artists such as Jonas Helborg, Aydin Esen, Tim Garland, and Scott Kinsey, Wayne Krantz, Matt Garrison and Arto Tuncboyaciyan at the New Universe Music Festival, USA in Nov 2010.